The latest edition of this successful textbook on the techniques and institutions used to solve international disputes, how they work and when they are used, looks at diplomatic (negotiation, mediation, inquiry and conciliation) and legal methods (arbitration, judicial settlement). It uses many, often topical, examples of each method in practice to place the theory of how things should work in the context of real-life situations, helping the reader to understand the strengths and weaknesses of different methods when they are used. Fully updated throughout, the sixth edition includes all the latest case law, as well as new sections on investment arbitration and regional trade disputes. 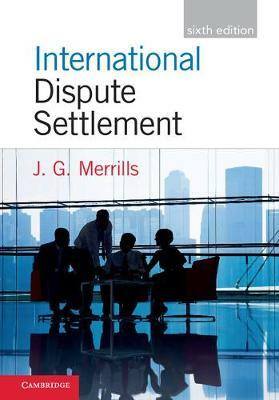 It is an essential resource for advanced undergraduate and postgraduate courses on international dispute settlement.